I like to start the new year with a clean house, an empty calendar and a long-deferred project to tackle. So far, I have the last of the three, but no time for tackling anything beyond last year's messes; I have yet to get my Christmas tree out of the house, and the same goes for the Christmas cards my dutiful husband had made more than a month ago. 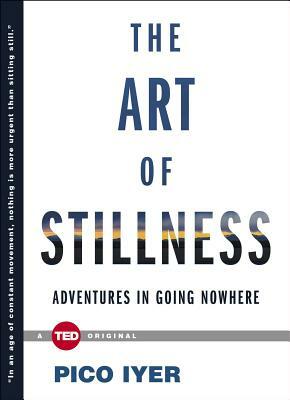 At least I can say that I've managed to fit a good book into the first weeks of 2016, one that offers an interesting twist on the theme of "New Beginnings." 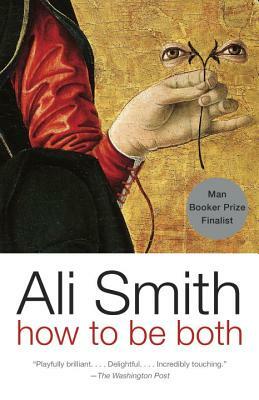 Ali Smith's How to Be Both is a boldly playful novel divided exactly into two halves, either of which might precede the other, depending on your copy. The pieces are meant to be interchangeable, each creating mysteries for the other to explore and enrich. One half is the story of George, a 16-year-old girl in modern-day England who is processing her mother's recent death; the other half is the story of Francesco del Cossa, a 15th-century artist whose work fascinated George's mother. Francesco's story is exciting, but George's story gives it a special depth and purpose. While George tries to build a new life out of quirky memorial rituals, she gives a sort of new life to Francesco, keeping vigil by one of his paintings in the National Gallery. Not wishing to spoil any of the novel's secret pleasures, I won't say more—except that this book is a work of real craft, full of tantalizing glimpses of the possibilities beyond the boundaries of convention. Lisa Katzenberger, editorial assistant in fiction and creative nonfiction, sees fresh promise in the world of children's books: "As mothers, much of our reading time is —or has been at one point in the past—devoted to reading to our young children. 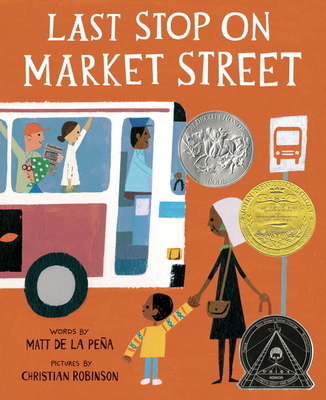 Last Stop on Market Street, a beautiful book written by Matt de la Peña and illustrated by Christian Robinson, is the first picture book to win the prestigious Newbery Medal for excellence in children's literature. It is also the first book by a Latino author to win the award. This book tells the story of CJ and his Nana, riding the Market Street bus through the city after church on Sunday. CJ is bored and upset that they don't have a car, but Nana encourages him to find beauty in the small details of everyday life around him. The story uses lovely language, as when it describes CJ's reaction to a musician playing his guitar on the bus: 'CJ's chest grew full and he was lost in the sound and the sound gave him the feeling of magic.' I love this striking book for its sharp details and vivid images, how it meets the mission of We Need Diverse Books, and what it represents for the future of children's literature. With books like these, more children are starting to see themselves represented in the world of literature. With a strong, new beginning like that, we are sure to engage more young children with the world of literature and nurture them into lifelong readers." Peruse more of our recommendations on our Goodreads page, or share your own—either in the comments below or on Twitter (@LiteraryMama), #AmReading. Thanks for this; really love that idea of finding beauty in the bus ride.